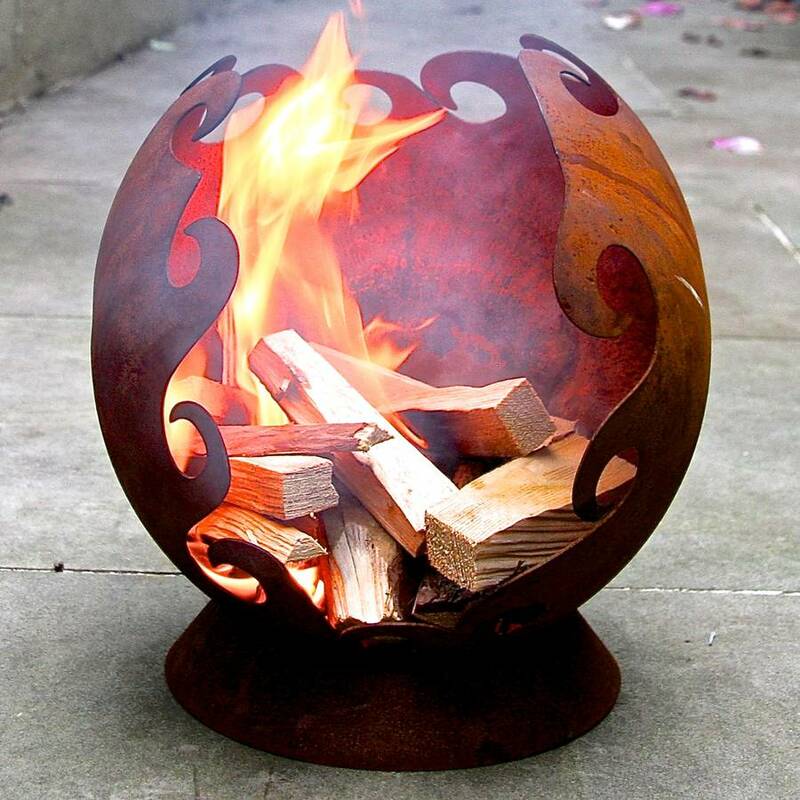 London Garden Trading bring you our new stunning mini firepit, perfect for the smaller outdoor space, camping and city living. 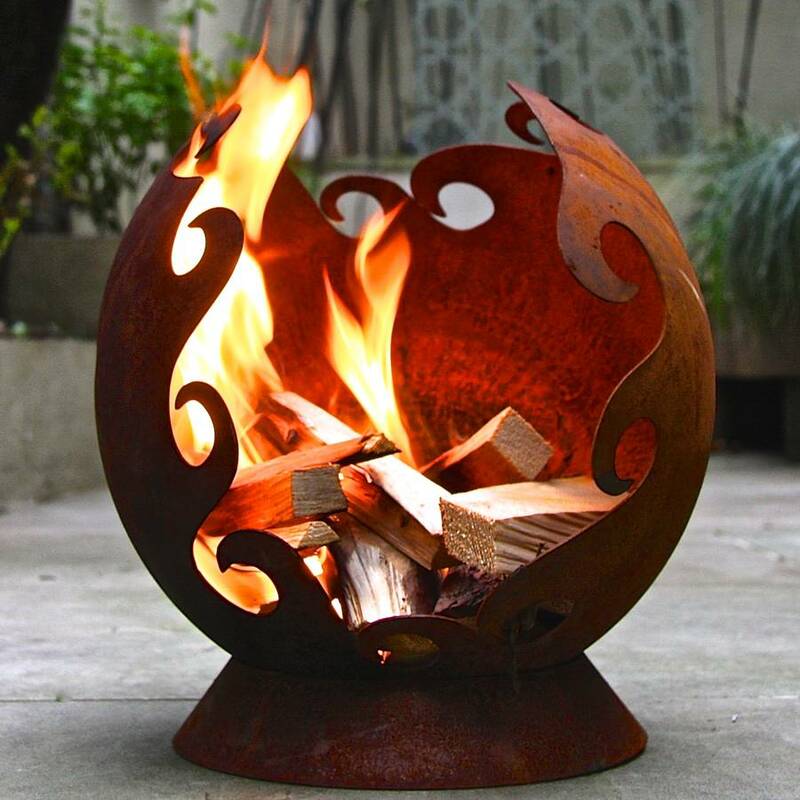 For those of us who think their garden is too small for a traditional firepit, our lovely little mini flames firepit has come to the rescue. 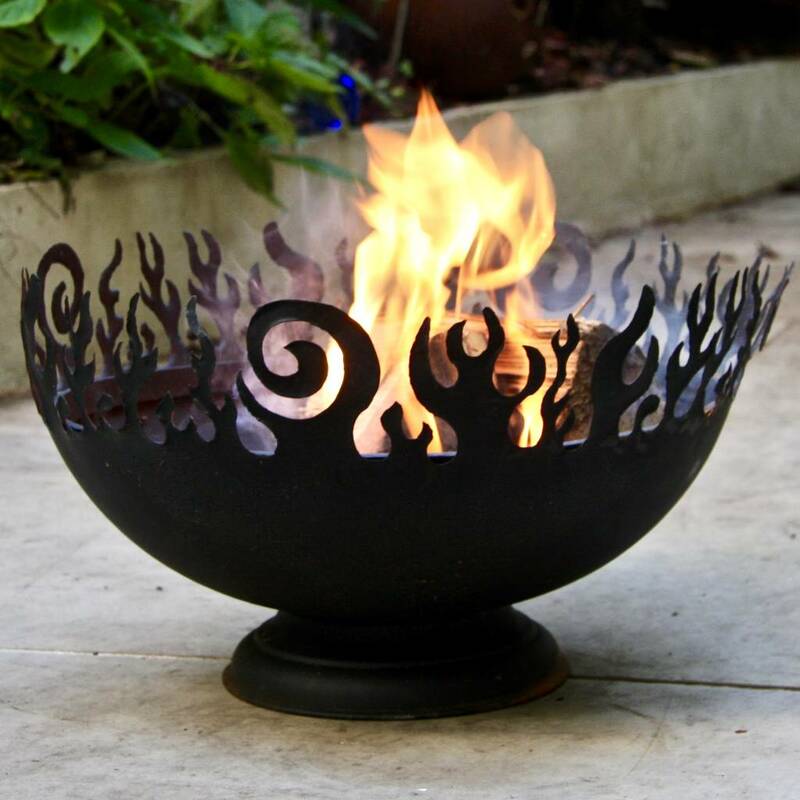 For all you city dwellers with tiny yards or gardens, our firepit will do the job nicely. With its rusty iron finish and swirl detailing look its very decorative even when not lit and could also be used as a planter. Perfect for camping and easy to move around before lighting. 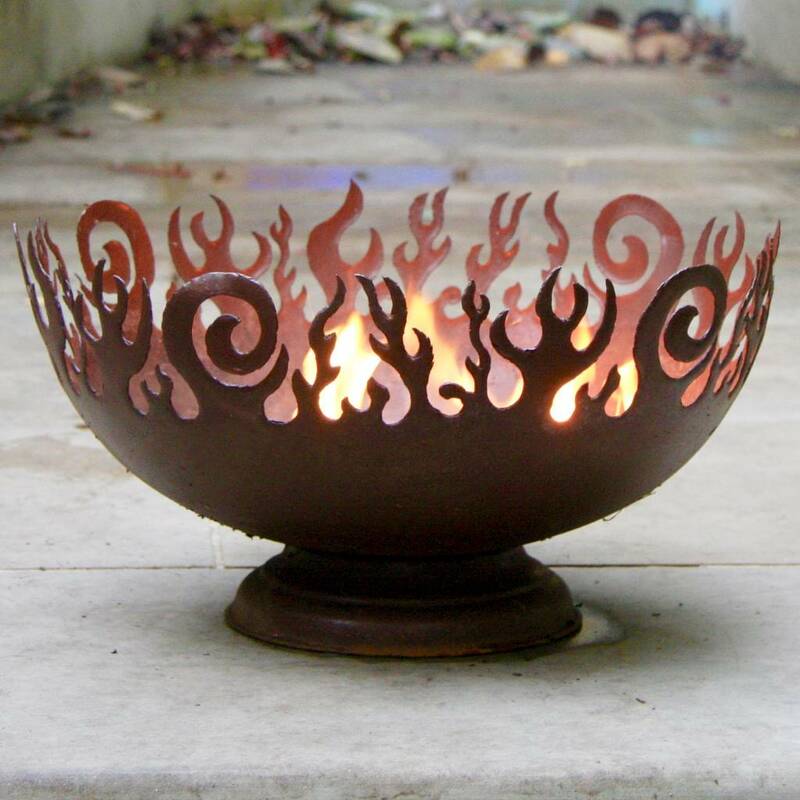 Now available in a larger size and 2 different finishes - please note the shape is different in the larger size but with similar flames detailing. Finish - iron oxide patina.